I’m finishing up Day 17 of a food elimination program (I will be posting about this when I have completed the program). I have struggled with stomach issues since I was a small child and I’ve had doctors and allergists put me on elimination “diets” in the past that completely sucked the life out of me – not to mention the medications and invasive tests that I’ve undergone in my lifetime. 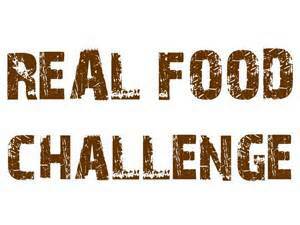 The program I’m participating in allows me to eat real, whole foods – fruits, vegetables, and meat – nothing processed. Like I said above, I’ll be posting about this experience once I complete it but the let me just say the theory behind this program is that there are foods that cause systemic inflammation in the body which can have other effects on us (allergies, sleep disorders, skin problems, tummy troubles, etc.) and so the foundation is to eliminate all the processed stuff and whatnot and rely on fueling your body – your temple – with nutritious, delicious, whole foods. So I have cut out sugar in all forms – except what I get from fruits and vegetables – all processed foods, dairy in all forms (which isn’t so bad for me since I’m allergic to dairy anyway and sometimes indulge in foods that make me feel like I got hit with a bat), etc. And you know what? I.Feel.Great! I was trepidatious and doubtful going into this program but by day 3 I really started to notice a change in my digestion of the foods I was eating. I’m not going to elaborate (at least not yet) but I will say that for that reason alone this elimination program has been worth it. And for the most part, it’s a program that I can sustain. AND the best part of it: nothing I eat has to come from little silver packages. So, all of that being said, what I’m about to challenge you to is a little different than what I’m doing. Instead of eliminating everything, I CHALLENGE YOU to eliminate a processed food from your diet for one whole month. It sounds easy enough, but believe me, letting go of something you “rely” on daily isn’t always that easy (I sorta miss my mayo – but am learning to love avocado). For instance – try cutting the cream out of your coffee for a month. Either go black or drink it blended with a little coconut oil or coconut milk. (I do this all the time anyway and love it.) Or, go without bread in all forms for the month. That means no morning bagel, no cronut at the office, no weekend PB&J. I swear you can do this. Step outside you comfort zone and try something new. 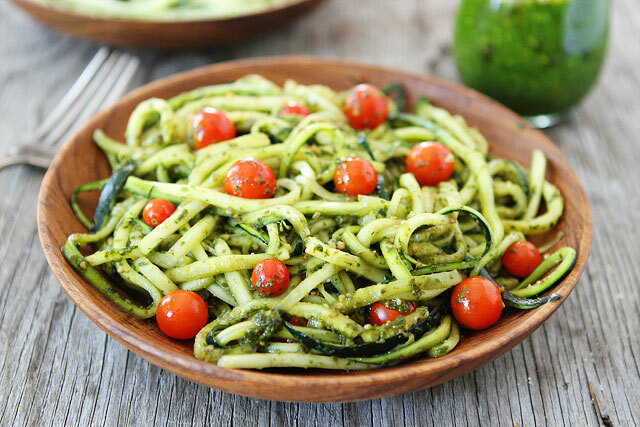 If you like pasta try using zucchini or carrot “noodles” instead of actual pasta noodles. Or try making your regular ice cream from frozen bananas and fruit. 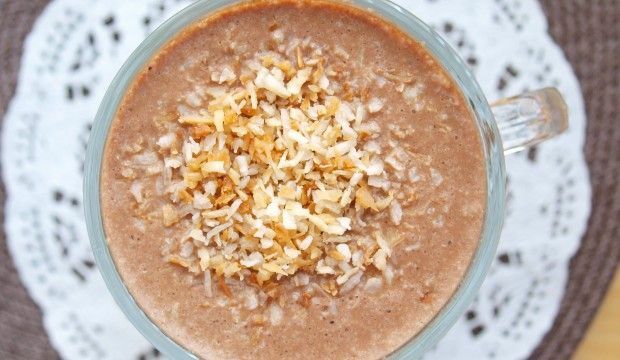 Instead of going out for that sugary, calordie-dense frappuccino, make your own at home with fresh brewed coffee (cooled), sliced frozen banana, 100% real cocoa, and some coconut milk – this is just as delicious and refreshing and it’s pretty healthy. Instead of topping it with all kinds of crap, instead add some unsweetened coconut (toasted is even better), cinnamon, or mint leaves. Give this 30 day challenge a try. It may seem hard – but it’s really not; and it’s only 30 days. You can do anything for 30 days. Try it. See how you feel before, during, and after. See if your body changes at all – inside or out. See if any part of your health improves. Try it. You’re worth it. And if you do it – hashtag it, baby! Let the world know you’re participating.